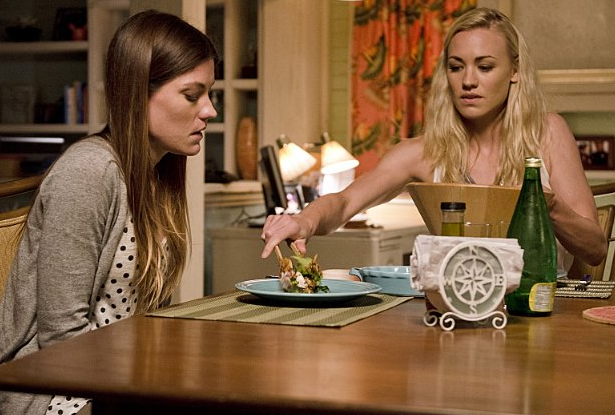 Dexter Daily: POLL: What Did You Think of Deb and Hannah's Dinner Scene In the Latest Episode? POLL: What Did You Think of Deb and Hannah's Dinner Scene In the Latest Episode? Last Sunday's episode of Dexter gave us one of the most awkward moments in show's history. Deb and Hannah were having a dinner. Just the two of them. Together. Last time we saw both of them on the same table was... in the interrogation room on episode 7.07 "Chemistry" after the murder of Sal Price. So, what did you think of the dinner scene of episode 8.09 "Make Your Own Kind of Music"? Vote below and discuss in the comments section!